When traveling to Las Vegas, NV, what’s the first thing that comes to mind? The Strip of course! 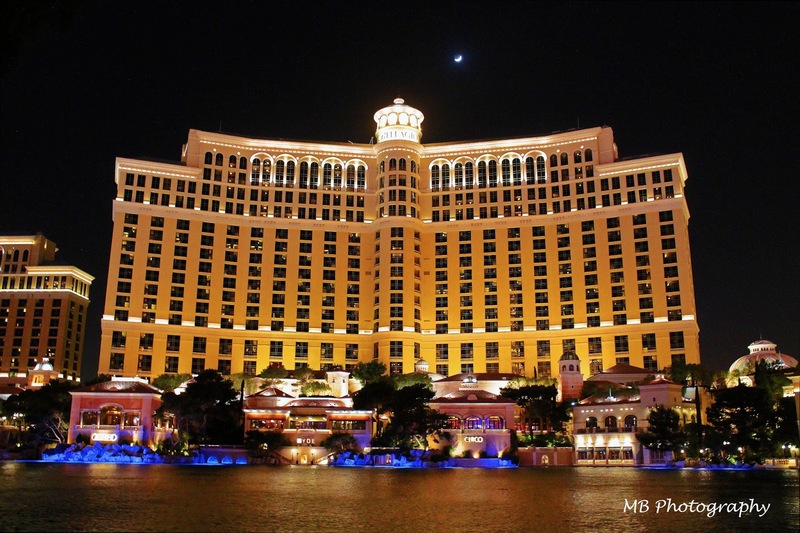 Las Vegas is famous for being the entertainment capital of the world with shopping, fine dining, gambling and nightly shows perfectly positioned along the 4.2 mile Las Vegas Blvd. At night, energy radiates off the Strip from the bright lights and carefree attitudes of people happily trudging up and down the sidewalks looking for a good time. But although the Strip serves as the major tourist attraction in Las Vegas, there are many things to see just outside the city limits. If you venture out even just for one day, you are likely to discover a whole new adventure. On a recent trip to Las Vegas, I set out with a different goal in mind while visiting the famous Sin City. I rented a car, plugged my I-pod into the radio receiver and drove west on Highway 160 past the Red Rock Canyon Conservation Area and over the Mountain Springs Summit to Pahrump Valley. 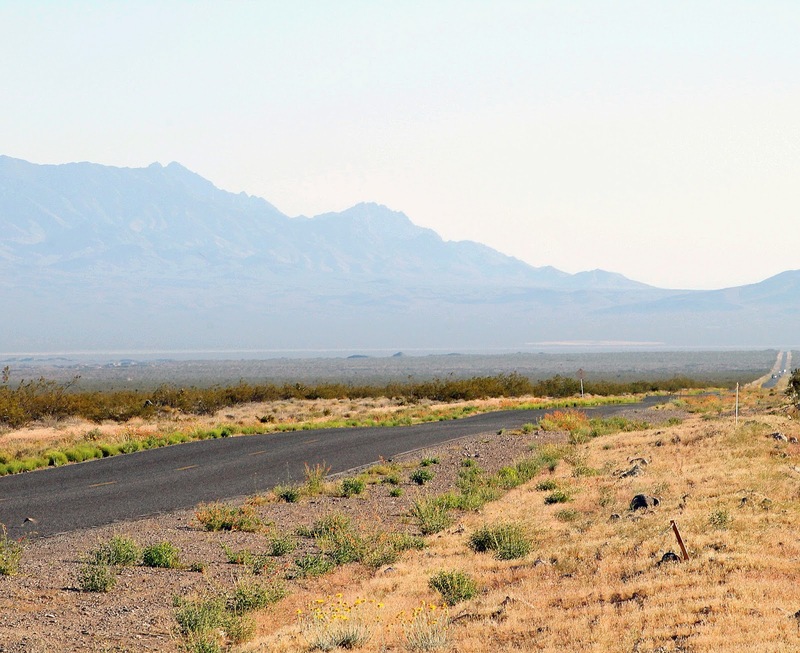 Once in Pahrump Valley, the desert sprawled out as far as I could see. There was nothing but road, cacti and hazy gray mountains towering in the distance ahead of me. 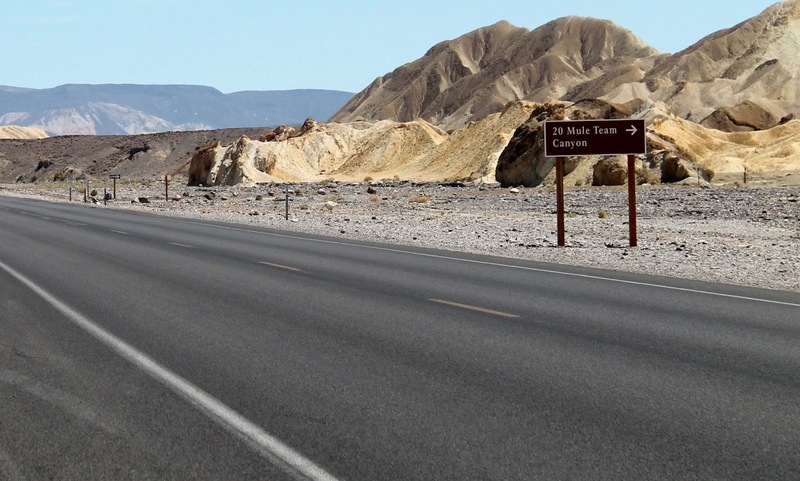 I cruised through the town of Pahrump and turned on Bell Vista Road headed towards Death Valley. 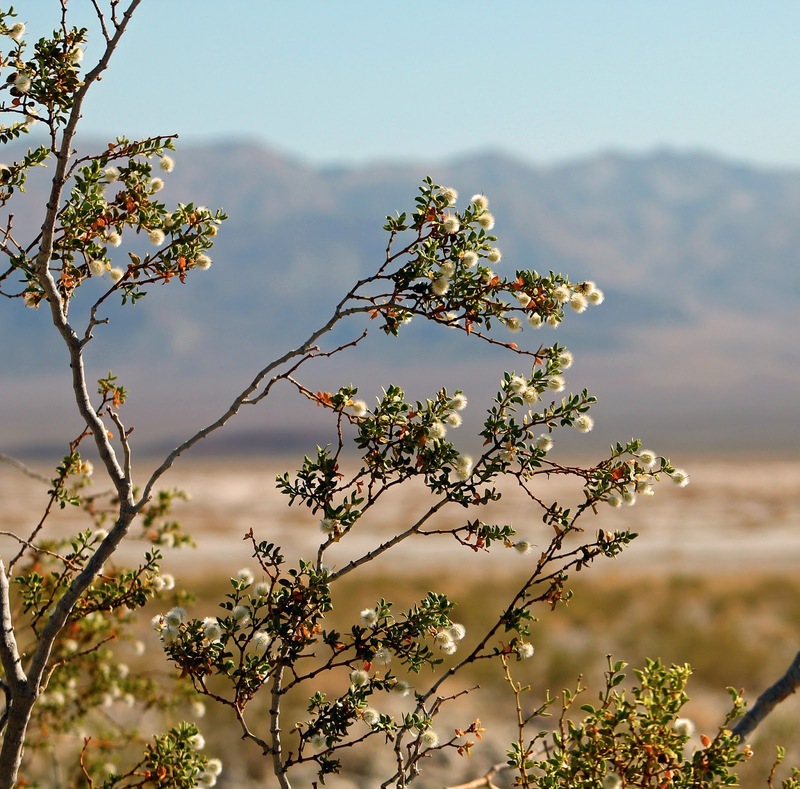 I passed by a market/gas station with a posted red stop sign that said, “Last Stop before Death Valley – Snacks, Gas, Water, Soda…” I hesitated for a second to check the gas gauge on the trusty Dodge Avenger I was driving. I wasn’t exactly sure what I was getting myself into. According to Google Map on my phone, it was another sixty miles or so to the national park. The cautious side of me kept running the same play by play in my head – getting stuck in the desert in 90 degree weather without cell phone service and with limited supplies, alone – not exactly an ideal situation but the daredevil side of me said “Drive on!” What was the worst that could happen right? So I fearlessly forged ahead through the Mojave Desert, through Death Valley Junction (Population Est. 4) and turned left onto Highway 190, one of the highways leading into the valley. As I finally came into the park, yellowish rolling canyons lined the highway (known as Twenty Mule Team Canyon). 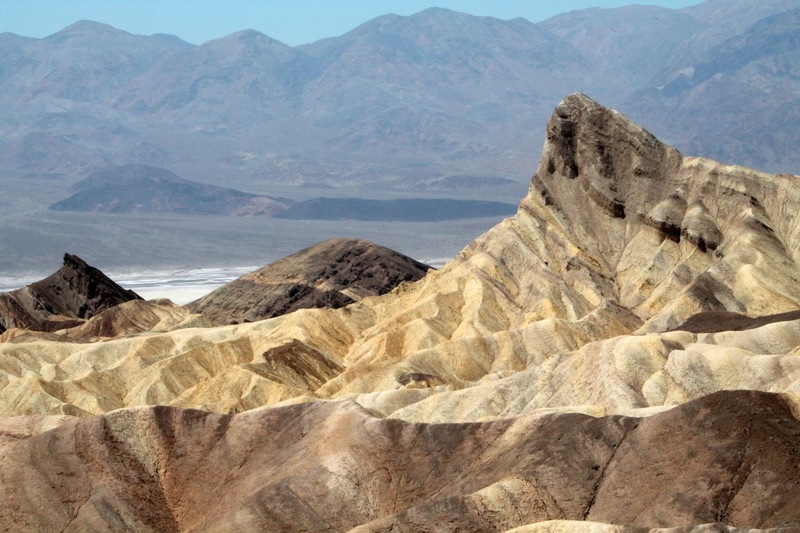 I then pulled off at Zabriskie Point. There was a haze settled over the mountains in the distance, but it was clear that the valley was strikingly vast and stark. 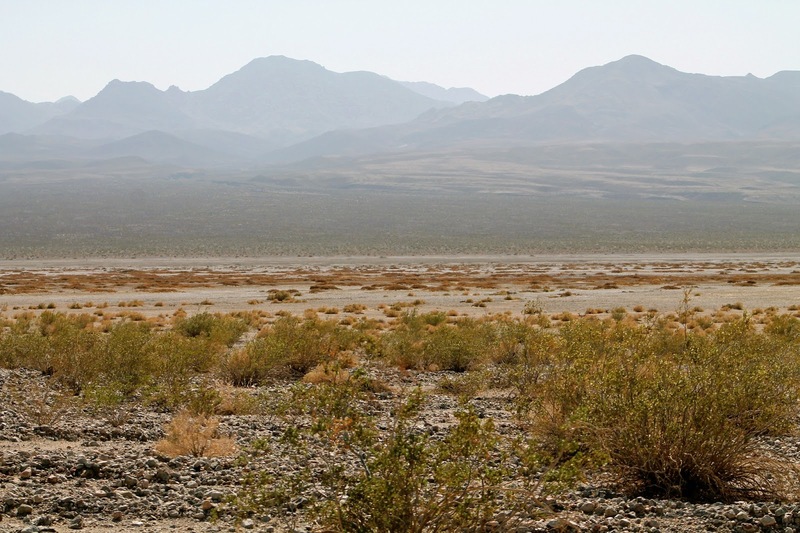 After catching a quick glimpse of the valley, I headed towards the Furnace Creek area to pay the park fee. On my way to the vistor’s center, I passed by two desert oases – the Furnace Creek Inn and the Furnace Creek Ranch. Both establishments looked like interesting places to spend a night in the desolate desert. Feeling relieved that I had made it to civilization (or kind of) once again minus cell phone service, I stopped in for a quick bite to eat at the Furnace Creek Ranch and stocked up on snacks for the journey back. After collecting maps at the vistor’s center, I headed back down the road and turned right on Badwater Basin Road. 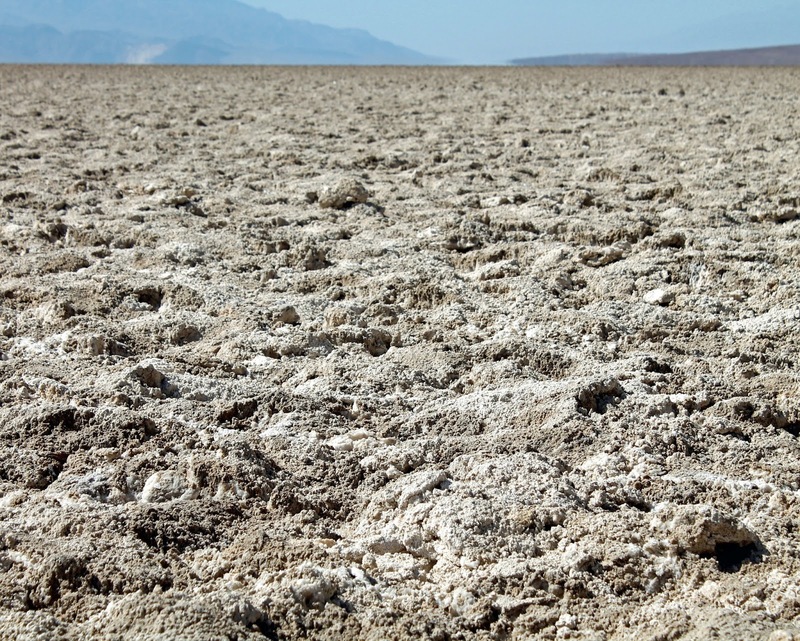 A trip to Death Valley would not be complete without visiting the lowest elevation level in North America, Badwater Basin. I had decided to do a loop and head back out of the valley through Shoshone, CA via Highway 178, so I sped ahead towards the basin while taking time to drive along the narrow and contoured road of the Artists Drive and to stop for a few shots of the valley. 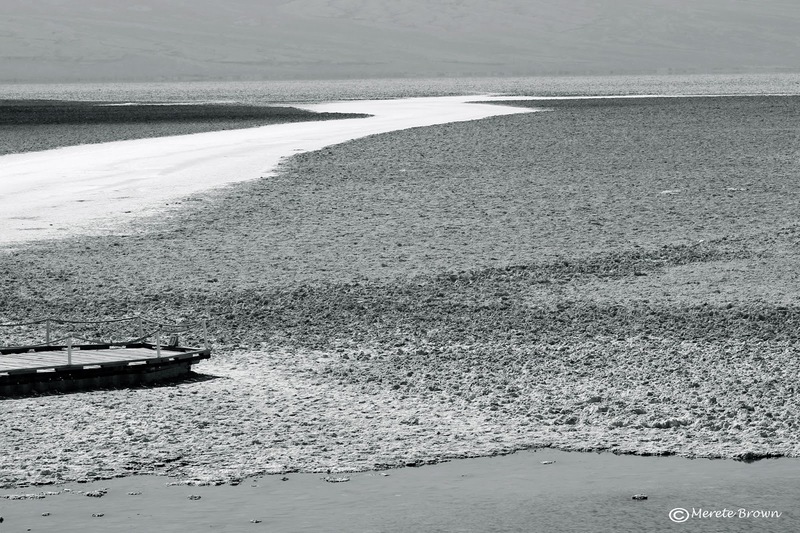 I reached Badwater Basin just as the temperature was peaking for the day. It was HOT, and I was ready to get back into the air conditioned car as soon as I stepped outside. Nevertheless, I walked down onto the boardwalk and looked out along the extremely flat and crunchy surface of the valley, a truly unique sight. The sun was bearing down, but I slithered out along the pure white salt surface to get a better look at the surrounding alien-like ground. 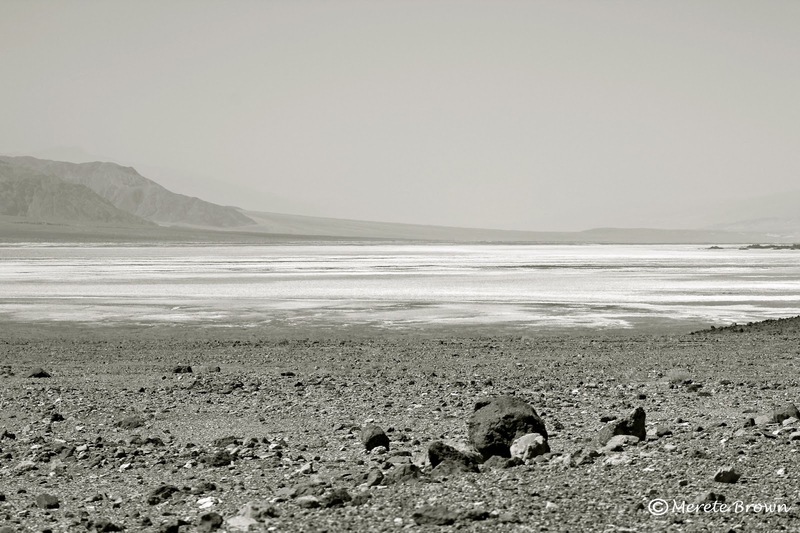 After a brief stint at Badwater Basin, I hopped back into the car and headed for the exit out of the valley. As I made my way back towards Las Vegas, the valley slowly turned from a pasty tan and cream color to sage green, orange and brown tones. 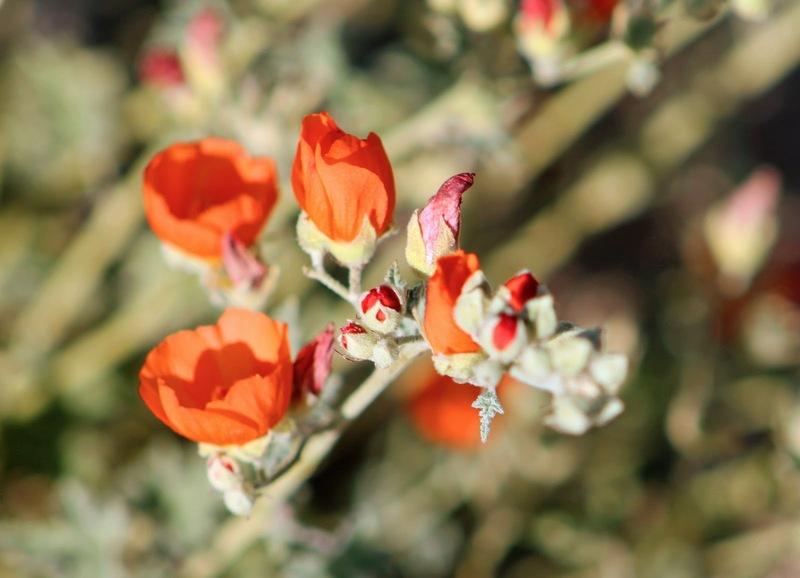 The hint of springtime was a nice contrast to the year-round barren landscape of the majority of Death Valley. 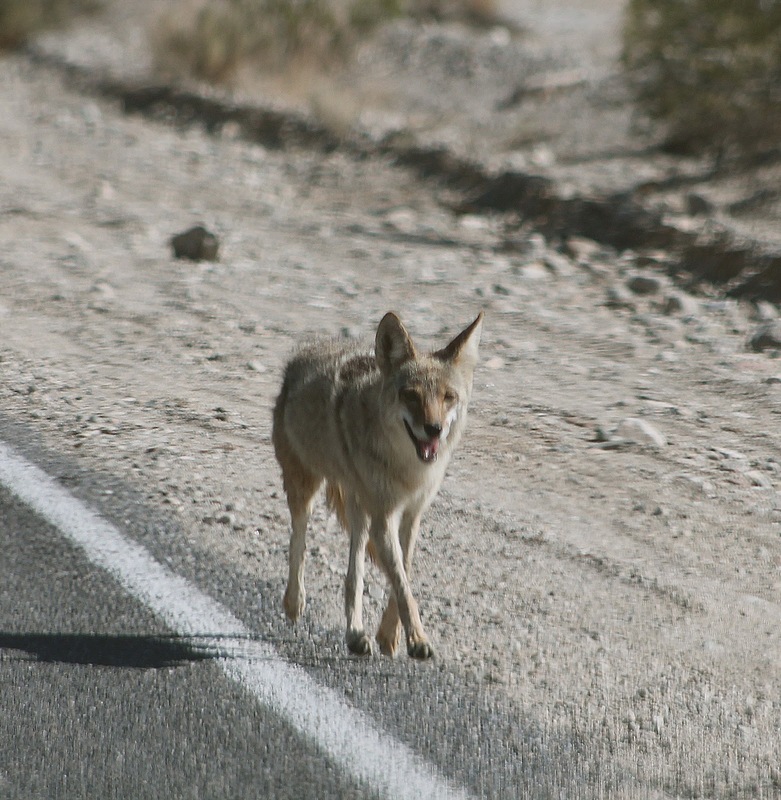 A lone coyote came trotting up the road with no fear in his eyes of the cars passing by. The valley was his home. As I looped back out through Shoshone and then Pahrump, I stopped one last time to take a few more pictures of springtime in the desert. The sun was lowering in the sky, and I was ready to get back to the city. But for that one day, I was glad to step outside and catch a glimpse of what lied out beyond Las Vegas. There’s no telling what you’ll find beyond the city limits. Healthy Food Option – Whole Foods (right off of Las Vegas Blvd) – If you’re like me, traveling can be brutal on the stomach. I always try to find ways to stick to eating well while still indulging in the local food. 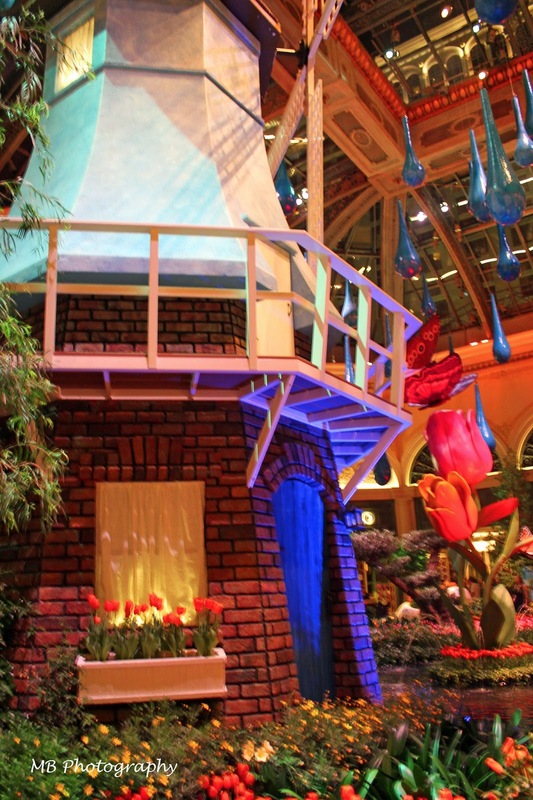 Also if you’ve never been to Vegas, be sure to check out the botanical garden inside the Bellagio. It’s free and it’s a neat area to walk through if you want a break from the buzz of the Strip! 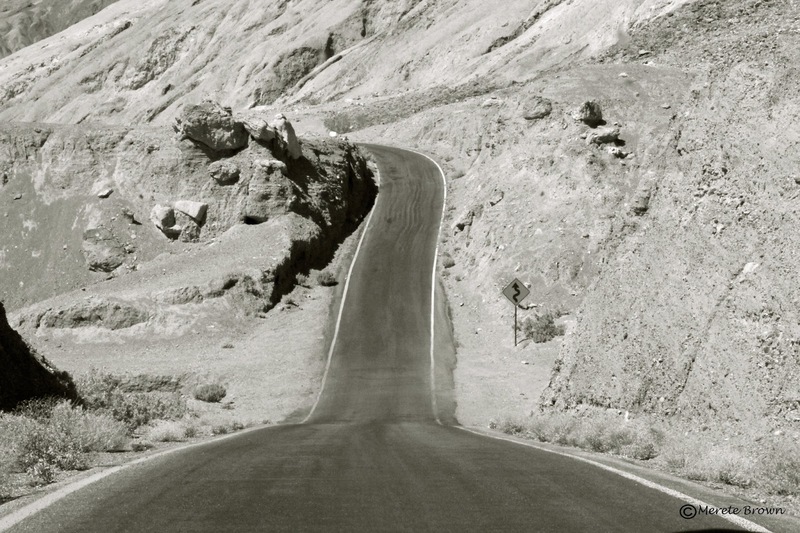 Total mileage to drive the loop from Las Vegas, NV to Death Valley NP and back: 274 miles. And in all seriousness, always take food, water and a full tank of gas when driving out in the desert. It definitely gets HOT!